Talofa ni! Talofa lava! Greetings to you all. 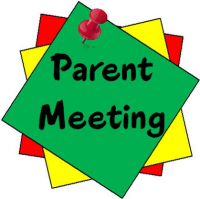 We wish to invite you to a Parents’ Meeting on Tuesday 9th April 2019. This will be held in Rangituhi House (Green) at 6.00pm. The Principal and some of the staff would love to meet with you to discuss some important issues regarding your children’s education e.g Ko te Hapori for Term 2. Please come along to share with us your ideas. Original generation time 3.2089 seconds. Cache Loaded in: 0.0442 seconds.